“Engineers and researchers working under a project of the Russian Foundation for Advanced Research (FAR) — a government agency for defense research — has demonstrated the first Russian-made specialized neural network processor for energy efficient execution of machine learning algorithms based on deep neural networks. These algorithms are widely used to automatically solve tasks in image and speech recognition, self-driving car control, and elsewhere. The prime contractor of the project is the Neurocomputing Systems Lab of the Moscow Institute of Physics and Technology. Machine learning algorithms that rely on deep neural networks require considerable computing power, and they are typically run using graphics accelerators. The latter consume way too much power to be of use on a mobile platform, such as small unmanned aerial or ground vehicles or smart cameras. This is why researchers worldwide are pursuing the notion of specialized neural network tensor processors. By leveraging certain computing capabilities of neural networks, tensor processing units can achieve a much higher energy efficiency, compared with graphics accelerators. MIPT has demonstrated NCore, a neural network processor created under the 65-nanometer design standard. Although the processor was manufactured outside Russia, the required technology is currently being introduced at a Mikron facility in Zelenograd, a suburb of Moscow. NCore achieves an energy efficiency comparable to that of graphics accelerators complying with the more advanced 28-nanometer design standard or even stricter guidelines. 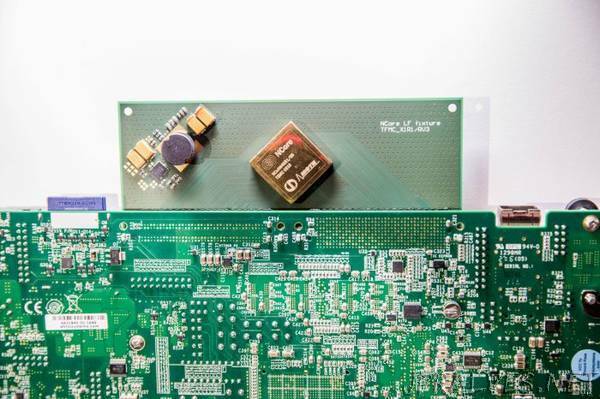 According to Alexey Zablotskiy, who heads the FAR project group, the architecture can be scaled down to create Russian neural network processors under “thinner” design standards. This would ensure scientific and technological parity in specialized tensor processing unit design for machine learning algorithms, Zablotskiy added. “We already have a system prototype in silicon, manufactured using the 65-nanometer technology, which is fairly coarse by modern standards. Eventually we intend to use our cores as components for crystal-based systems,” the researcher added. An important part of the project is developing an automated translator for machine learning algorithms developed using the popular frameworks TensorFlow, Caffe, and Keras. This unification will enable users to work in familiar environments. NCore testing with prospective consumer participation is scheduled for spring 2019. Following this, an improved version of the processor will be created.